Zhang Lijia is a writer, journalist, and social commentator. She is the author of the popular memoir “Socialism is Great!” She is currently working on a book on prostitution in China. She travels from Beijing. 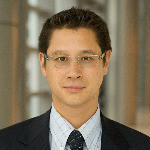 Shaun Rein is the Managing Director of the China Market Research Group, the world’s leading strategic market intelligence firm focused on China. He is one of the world’s recognized thought leaders on strategy consulting in China. In 2012 he published the bestseller “The End of Cheap China.” He travels from Shanghai. Kaiser Kuo is an American-born writer, rock musician, technology watcher and cultural commentator. In June 2010 he became director international communication at China’s largest search engine, Baidu.com. Baidu was the first Chinese company to become part of the NASDAQ-100 index. Rupert Hoogewerf is founder and compiler of the Hurun China Rich List. The list is the flagship product of Hurun Report, a luxury publishing and events company founded by Hoogewerf in 1999, which produces 20 Chinese-language magazine issues a year aimed at China’s wealth creators. Hoogewerf’s close personal relationship with many of China’s leading entrepreneurs provides the basis for the company’s busy calendar of events. He travels from Shanghai.